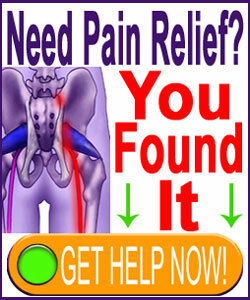 Do you need relief from sacroiliac joint pain? Welcome; you have come to the right place. 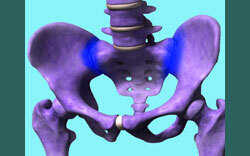 This completely free website provides education and advocacy for people with chronic sacroiliac joint problems. Equally important, we provide a community where patients can feel comfortable and learn from the very best care providers, as well as from fellow sacroiliac pain sufferers. This website seeks to educate readers on the varieties, causes, symptoms, diagnosis and treatment of sacroiliac joint pain syndromes. We provide complete coverage of sacroiliac joint dysfunction, including the manifestations of hypermobility and hypomobility. We also detail sacroiliitis, which is a joint inflammation condition that can be created by a wide range of causative disorders. 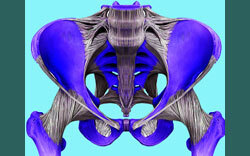 We examine the diagnostic process for sacroiliac joint pain conditions. We also provide a full accounting of all the treatment options for each diagnosis, including sacroiliac exercises, drug therapies, injections and surgery. If you are seeking immediate help for severe pain, please accept our invitation to learn more about our proven pain relief program. It is available 24 hours a day to help you anywhere in the world. 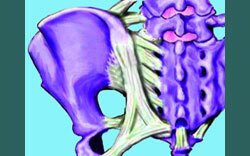 The sacroiliac joint is one of the strongest structures in the human body. The joint is incredibly well engineered and provides unrivaled durability under continual extreme stress. However, the sacroiliac region can fall victim to various forms of pathology, including traumatic injury, arthritic degeneration, a diversity of diseases, infection, soft-tissue deterioration and other concerns. When the sacroiliac suffers, so does the patient, as the joint links the leg to the spine and is one of the most important mobility joints in the body. Patients with sacroiliac troubles have difficulty standing, walking, climbing stairs and performing significant motor functions with their legs. Many also experience horrific chronic pain that can potentially result in disability. All of our main topics are listed in the navigation bar. Each main resource section is further divided into topical discussions that each focus on a specific subject related to the sacroiliac joint. In order to gain a complete understanding of each topical section, we strongly advise taking time to carefully read each article contained therein for maximum benefit. We also provide a site map to assist you in finding subjects by article name, as well as a site search function that can locate any word or phrase across all of our web properties. We never accept financial or other compensation in return for favorable coverage on this website. In fact, we have earned a reputation for openly criticizing the healthcare sector for its many failings, despite being a part of this very same health industry. Additionally, we do not want your money. If you choose to support our work, we appreciate it and thank you sincerely, but we never make demands and are happy to help you for free, since our editorial board members are all volunteers. If you do decide to help us with a donation, or by purchasing our products, then please know that 100% of the money goes to fund our research, education and advocacy projects worldwide.